But for those who have never used the platform before, or those who just want to take their usage to the next level, Instagram has some lesser-known tricks and settings. That’s why we set out to find them and list them all in one place. Mute annoying users without the risk of offending them with an unfollow. Put your most-used filters up front for faster posting. Looking for inspiration? Why not review what’s already inspired you. Don’t let anyone who has access to your phone know how obsessed you are with your frenemies. Permanently remove specific searches (accounts, hashtags, places, etc.) from appearing in the search bar. Never miss a post from your favorite people and brands! Note: If you’ve changed your mind, the option to turn off notifications lives in the same spot. You don’t need to log in and out to switch between accounts. Note: You can add up to five accounts. 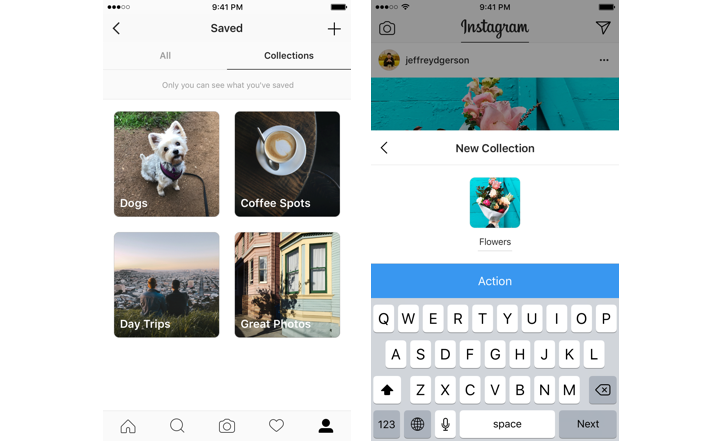 Pinterest isn’t listed as one of the network choices when sharing a post from Instagram, but there are workarounds for both Instagram mobile and desktop. Whether you need to hide an offensive comment or erase a typo, deleting comments is easy. Dealing with a social media troll? Comment controls allow you to filter and block comments containing specific keywords. Note: you can change this setting even after a post has been published by going to the post, tapping the three dot icon above it, and selecting Turn On Commenting. 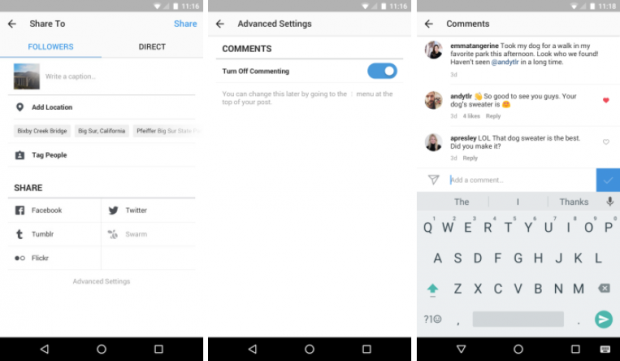 You can also turn off comments on a previously published post by following these same steps. The perfect hack for squirrelling away bits of inspiration. Or use this feature to keep tabs on your competitors. This is possible thanks to Instagram’s archive feature. If you favor the long-form caption a la National Geographic, this hack will make your posts more readable. Note: The breaks will start a new line, but not create the white space that you would see between two paragraphs. If you want a paragraph break, write out your caption in a note app and copy it to Instagram. To break up lines further, consider using punctuation, such as bullet points or dashes, to hold the place of an empty line. 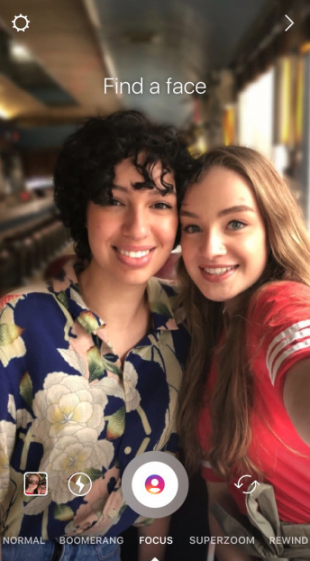 Too busy to post at a time when your audience is active on Instagram? Use Hootsuite to schedule photos direct to Instagram. Note: Check out our guide to scheduling posts on Instagram to learn how to do this from a personal account. Get creative and have fun with Instagram’s grid format. Image via Reynolds Kitchen on Instagram. 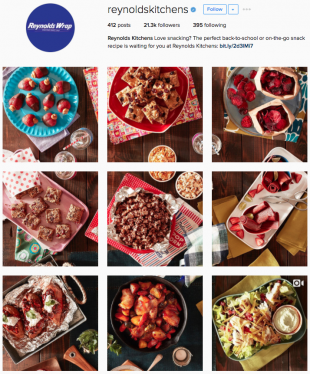 For a closer look at how brands have made good use of the grid layout, check out 7 Lessons Brands Can Learn from the Most Creative Accounts on Instagram. For those who want something close to—but not quite—the #nofilter look. It’s an Instagram Story that never disappears! If the audio is bad and/or doesn’t add to the viewing experience, you may as well remove so it’s not a distraction. Note: This can also be done in Instagram Stories. After recording a video, simply tap the volume control icon at the top of the screen to mute. You’ve snapped the perfect shot and edited it to perfection, but the perfect caption eludes you. 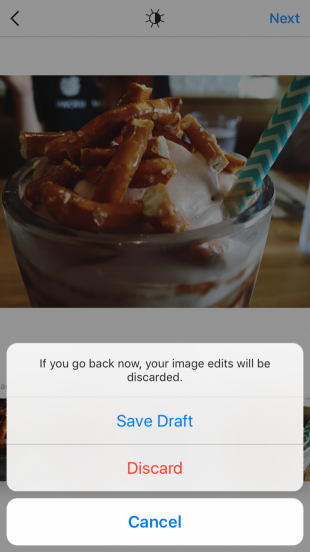 Save the post as a draft—with all your edits intact—and come back to it later. Note: To delete a post from your saved posts, select Manage to go to Drafts, then tap Edit. Select the posts you’d like to get rid of and tap Discard Posts at the bottom of the screen, then tap again to confirm. Note: this feature is only available on select Android devices, iPhone SE, 6S, 6S+, 7, 7+, 8, 8+, and X. 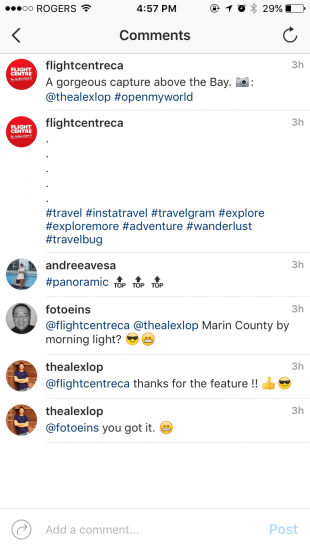 Brands can use this feature when partnering with other businesses or influencers for announcements, Instagram takeovers, and the like. Or, encourage your followers to join a live Q&A you’re hosting. 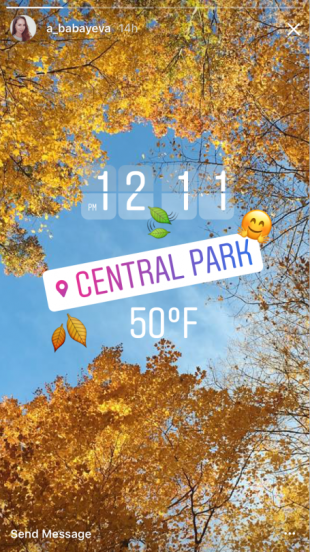 The Instagram Story version of a regram—great for sharing user-generated content or giving a shoutout to another relevant brand or influencer. Once you’re happy with how it looks, tap the Your Story button to add it to your post. The post will show original poster’s username. When someone taps the post, they’ll be able to see the original post and more content from the person who created it. Note: You can only share posts from public accounts. 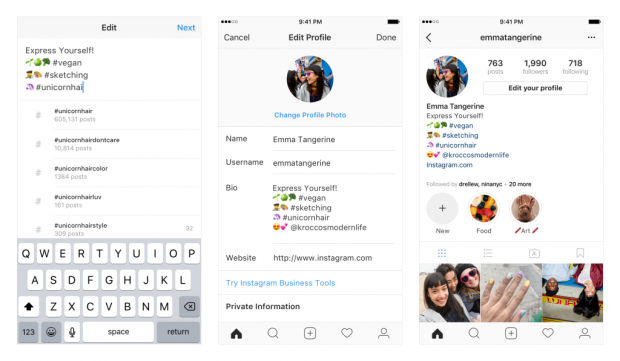 If you don’t want your posts shared on Instagram Stories by other people, you can opt out in settings. There are thousands of songs to choose from! Show off how hip your brand is. For brands, this is great way to give a shout-out to another business or showcase an influencer in a takeover. In case you want to publish it on a different channel at a later date. Note: You can also save individual posts from your Story as you upload them by tapping the downward arrow icon in the bottom left corner of the screen. If you’ve already shared it, go to the photo or video you’d like to save, tap the three dots icon in the bottom right corner, and select Save Photo. If your Story’s hot and you want everyone to see it—even those who don’t login during the 24 hours that it’s live—publish it on your profile. Want to know how your Story’s doing? Check out this little-known feature to find out who’s watched it. Note: You can also choose to hide your Story from people as you’re looking at who’s seen your Story. Just tap the three dot icon to the right of the person’s name and select Hide Story From [Username]. You don’t have to watch Stories in a strict progression if you don’t want to. On the edit screen, you’ll see a preview of all the media you’ve selected lined up at the bottom, you can tap each one to edit individually with stickers, text, etc. A picture says a thousands words, but sometimes you only want to say a few words. Now you can share that wide-angle company photo without cutting out Gary from accounting. 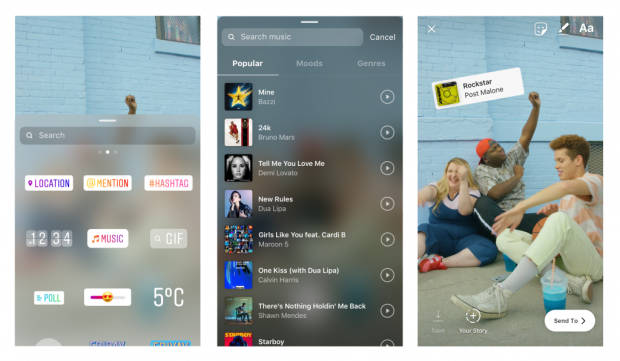 Brands can now keep their best Stories on their profiles for as long as they like with the Instagram Stories Highlights feature. Note: Highlights stay on your profile until you remove them, and you can have as many Highlights as you’d like. You can do this for individual post, or set it up so all your Instagram Stories automatically our published on Facebook as well. Another feature available to business accounts. When you finish broadcasting a live video, simply tap Share at the bottom of your screen and the video will be added to your Story. Note: The recording will be available for 24 hours. While it plays, it will display all the comments and likes from the original broadcast. 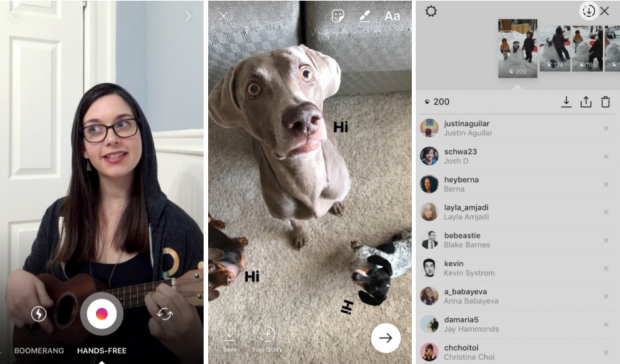 Brands will also be able to see exactly how many people watched the video—both live and in Stories. You can now link to a hashtag page or another account in your bio. Note: When you mention someone else’s profile in your bio, they will receive a notification and can choose to remove the link. Their profile will remain in your bio but without a link. Has your brand ever been tagged in an image that you’d rather not be associated with? There’s ways to remove it from your profile. Pro Tip: You can also choose whether or not you’d like tagged photos to appear on your profile. To do it, go to the Photos of You page, tap the three dots icon, select Tagging Options, then choose either Add Automatically or Add Manually. If you’d like to break up the block of text that is your bio, this hack is for you. Line breaks are a great way to include info in a visually appealing way. Note: Whether edited via mobile or on desktop, profiles viewed on desktop will appear without line breaks. Your bio is a great place to drive traffic to your website or another social channel with a link. 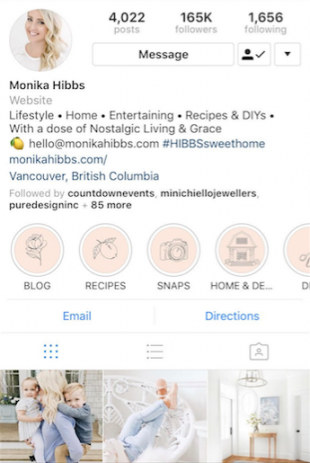 If you’re a brand and still don’t have an Instagram business profile, you’re missing out on key features and insights. Make the switch now. Because using the right Instagram hashtag will make your content more discoverable and allow you to grow your audience. If you often use the same hashtags for every post, save them in a note to save time. Don’t clutter your captions. Hide your hashtags to keep the reader focused on what’s important. If you don’t want your followers to know when you were last active on the app, you can turn off activity status within Instagram Direct Messenger. 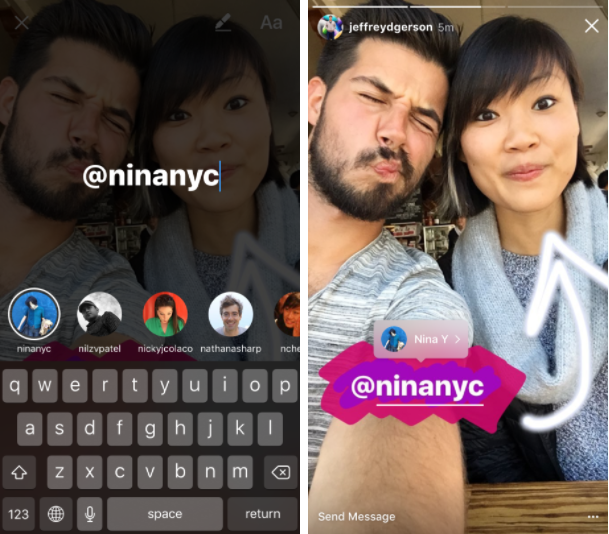 You can send a disappearing photo, video, or Boomerang to another account or a group of friends using Instagram Direct Messaging. Note: If you select multiple recipients without creating a group, each user will be sent the same message separately. You can send your own live video or one you’re watching to a user or group of users.